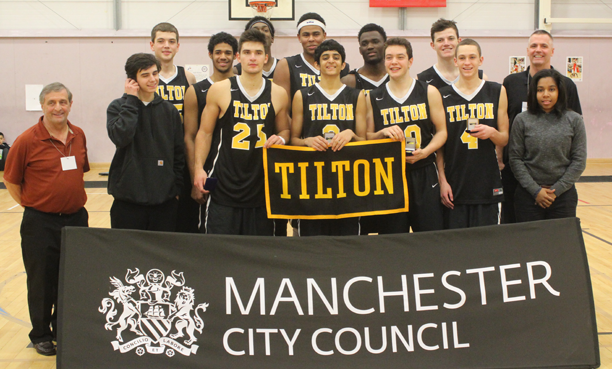 Tilton Prep picked up the 2014 Haris Memorial Tournament title after defeating fellow US Prep School St Andrew’s 121-97 in the final on Monday evening at the Amaechi Basketball Centre in Manchester. Tilton proved too much for St Andrew’s, who compete in the same league with them in the US. Both teams came into the final undefeated in the tournament, but behind standout performances from tournament leading scorer Franklin Porter, who had 31 points, and MVP Terance Mann(27 points, 13 rebounds, and 8 assists), St Andrew’s could never get in the game. Tilton jumped out to a 10 point lead in the first few minutes, extending it to 16 by the end of the first quarter, 19 at half time and 28 after the third. The fourth quarter was a mere formality as Tilton finished 4-0 in their first outing at Haris. “It’s been a great experience,” said Tilton Head Coach Marcus O’Neil. 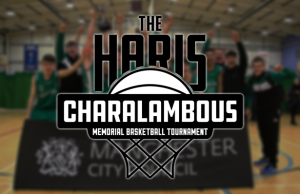 “We love being over here, seeing Manchester’s been great and we appreciate being a part of the Haris Tournament. Tilton point guard Brett Hanson added 22 points, 9 rebounds, 4 assists and 3 steals. St Andrew’s were led by the backcourt of JR Lynch and Brian Mukasa. Lynch had 22 points and 4 assists, while Mukasa finished with 15 points and 3 assists. Chancellor Ellis, who had been one of the dominant players in the tournament with his three point shooting, struggled to get going. St Andrew’s will look for revenge when the two sides meet later in the regular season back across the pond. O’Neil added he doesn’t expect it to be as easy. “It’ll be a different game because the officiating is different in America,” he said. “They’re as capable of shooting the ball really well, they’re an excellent 3 point shooting team, they play really fast they’re always a good defensive team and they offensive rebound pretty well. I don’t think this will have anything to do when we play them again later, it’ll be a completely different game and hopefully we can survive. Defending champions England U18s defeated Boulazac 109-58 to take third place in the tournament. 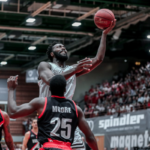 Boulazac were playing without star big man Joshua Norbal, who was named to the all-tournament team, and England capitalised, jumping out to an early lead that they wouldn’t give up the rest of the way. “Never happy with third, but I’m happy with the tournament and the competition we played against,” said England U18 Head Coach Karl Brown. Andre Arissol led England with 18, while Denzel Ubiaro and Aidan Gastaldi-Davies finished with 15 each. Michel Murte led Boulazac with 17, Alexandre Aygalenq 13 points, and Theo Nehlig and Jeremy Leborgne had 9 points each. Tilton got a comfortable 92-71 win over Boulazac to progress to the final and set up a meeting with St Andrew’s. Franklin Porter and Terance Mann had 25 points each to lead Tilton, with Anthony Green and Brett Hanson finishing with 11 and 10 respectively. Alexandre Aygalenq led Boulazac with 20, Joshua Norbal had 13 and Jeremy Leborgne 12 points. St Andrew’s survived a last gasp attempt from England to win 110-107 and head to the final. Luke Mitchell’s three point attempt at the buzzer that would have forced overtime bounced off the back of the rim as St Andrew’s set up a final match-up with Tilton Prep. “The result came down to one play, but I think it was the whole game,” Karl Brown said. 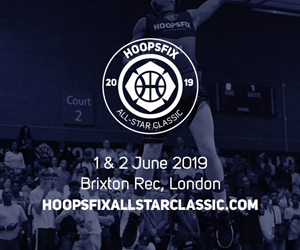 Carl Wheatle had his breakout game of the tournament, dominating at times on his way to 28 points, Alex Roberts had 20 points while coming up huge down the stretch, with 5 points in the dying moments and Kyle Carey had 19. Chancellor Ellis hit six threes for 20 points, but Aaron Wheeler led St Andre’ws with 25, while Brian Mukasa and Eric D’Aguanna had 21 each. CB Cornella got a 90-84 victory over Manchester Magic in double overtime to take fifth place at Haris 2014. Joe Swindells got fouled on a three point attempt with 0.4 seconds remaining in regulation and knocked down all three free throws to force OT tied at 72. In the first OT both teams struggled to find the bottom of the hoop, scoring 4 baskets between them, while Cornella managed to get a cushion in the second OT and grind out a win. Alejandro Perez led Cornella with 19 points, Jaume Lobo had 16 points, and Marc Corral 13 points. Raheem Idris had the highest outing of the tournament with 35 points for Manchester, Swindells finished with 14 while Ayo Nue had 12. England U16s picked up their first win of the tournament with a huge 60-51 comeback win over Sligo to secure seventh place. Down 24-6 after the opening period, and 17 at halftime, England managed to reduce the deficit to six heading into the final period where they dominated for a 9 point win. “We went down 18 points very early on. 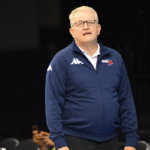 One game too many was what I am sure everyone was thinking however we can’t allow ourselves to develop that mindset,” said England U16 Head Coach Alan Keane. “Nine games and 11 practices in 12 days at the Euros is what we are preparing for. With that in mind we started all over again at half time and refocused. To come from behind and win by 9 showed me we have a lot of potential and a desire to fight until the end. 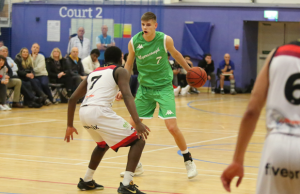 “Overall the Haris tournament has given me a wonderful opportunity to benchmark where we are as a team and allowed the players to show me more of what they are currently capable of and what their potential could be moving forward. Jacob Iwowo led England with 15 points, while sharp shooter Jacob Round had 8 points, and Josh Edwards and Tariq Balogun added 8 each. Philip Hamilton led Sligo with 18 points, Cian Lally had 14 and Tobi Brockmann 9. 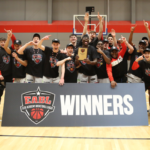 Manchester U18s survived a near upset from England U16s with a 77-71 victory to book their place in the fifth place playoff. England held a lead with a little over five minutes to play, but Manchester came through when it mattered, led by Daniel Walters’ 20 points. “We performed very well in patches however the challenge will always be to extend these positive patches of play,” said England U16 Head Coach Alan Keane. 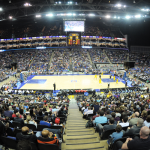 Joe Swindells and Raheem Idris added 13 each for Manchester, while Josh Edwards led England with 18. 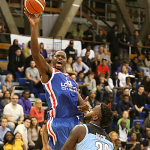 Jacob Iwowo had 15, while Zion Tordoff and Richard Amaefule added 8 each for England. CB Cornella’s Jaume Lobo hit a three pointer with 5 seconds remaining for a 76-75 victory over Sligo and a chance to play for fifth place. Lobo led Cornella with 14 points, Marc López had 12 while Pol Peinado added 10. Cian Lally had 28 to lead Sligo, with Philip Hamilton and Tobi Brockmann addeding 17 and 16 respectively. 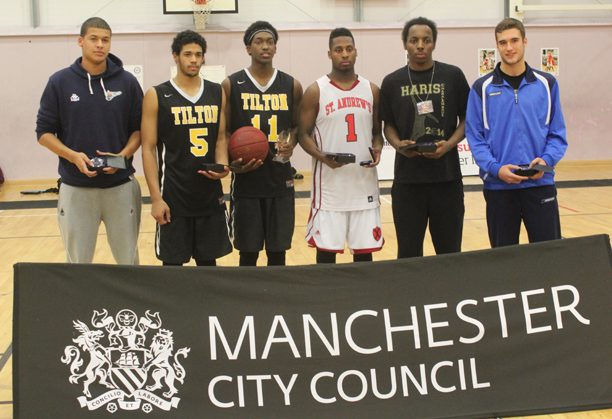 Boulazac’s big man Joshua Norbal,Tilton Prep’s Franklin Porter, St Andrew’s Chancellor Ellis, England Under-18s’ Carl Wheatle, and CB Cornella’s Marc Corral, made up the all-tournament team (pictured from left to right above, with Terance Mann, number 11, in the middle). Tilton Prep’s Terance Mann was named the deserved MVP of the tournament, saving his best game to last with a near triple double in the final vs St Andrew’s. The silky smooth 6’5″ guard had 27 points, 13 rebounds and 8 assists in the final and dominated throughout, while scoring the 1000th point of his career with Tilton. “Terance is a great all around player, he’s a tremendous athlete,” his Coach, Marcus O’Neil said after he won the award. Mann, who is nationally ranked 82nd in the Class of 2015 by ESPN, has signed with Florida State for next season. The addition of Tilton and St Andrew’s really raised the standard of the tournament this year. 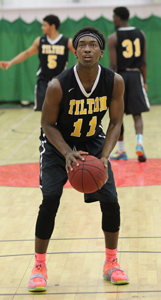 The tournament top scorer was Tilton’s Franklin Porter with 119 points over the 5 games an average of 23.8 points per game. 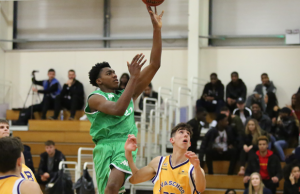 Manchester’s Raheem Idris, who is also an England U18, had the tournament’s two highest individual scoring outings, with a 34 point game on Boulazac and 35 versus CB Cornella. Sam Japhet-Mathias received two technicals against St Andrew’s and was forced to sit for the final 15 minutes of the game. 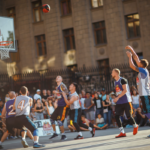 He showed some impressive vision and post moves throughout the tournament – especially for being, in some cases, three years younger than the competition. Carl Wheatle showed his game at both ends of the floor, and was the best player on the court at times vs St Andrew’s. Alex Roberts and Kyle Carey making the step up to U18s look easy, both having solid tournaments. Aidan Gastaldi-Davies cemented his status as one of the best three point shooters in the country, knocking them down with accuracy. England U18s have camps in February and March, as they return to their clubs now with feedback. Brown said there isn’t a timeline for cuts at the moment, as they perform ongoing evaluation. This U16s group (missing five guys) were without an individual star, but instead a solid team effort with various players stepping up at different times. A huge step up for them against older and considerably more physically developed players. Jacob Iwowo, Josh Edwards, Kaiyem Cleary, and Zion Tordoff all had solid tournaments. 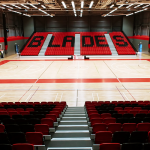 Jacob Round, who is just 14 years old (2000 born) and the younger brother of former England U16 Sam Round, showed the shooting touch runs in the family, being deadly from three. Ryan Murunge is still raw but an incredible athlete with a lot of potential. Big fan of Cameron Bett’s game, arguably the most polished right now of the England U16s at the tournament. St Andrew’s were without 6’10” big man Terrell Brown for the entire tournament after he broke his finger (he has offers from the likes of Iowa State and Xavier). Their point guard JR Lynch has signed with Hartford, while Chancellor Ellis has D1 interest. St Andrew’s Coach Mike Hart said their team graduated 9 guys last year, so are made up of predominantly underclassmen. Check out the Day 1 recap here, and Day 2 recap here, as well as the Top 5 Plays from day 1 here, and Day 2 here. 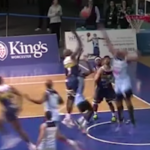 Also take a look at Denzel Ubiaro’s impressive back to back posters in the third place playoff vs Boulazac. 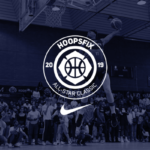 ← Previous Story Denzel Ubiaro Shuts Down the Haris Tournament! Back to Back Posters on the Break!